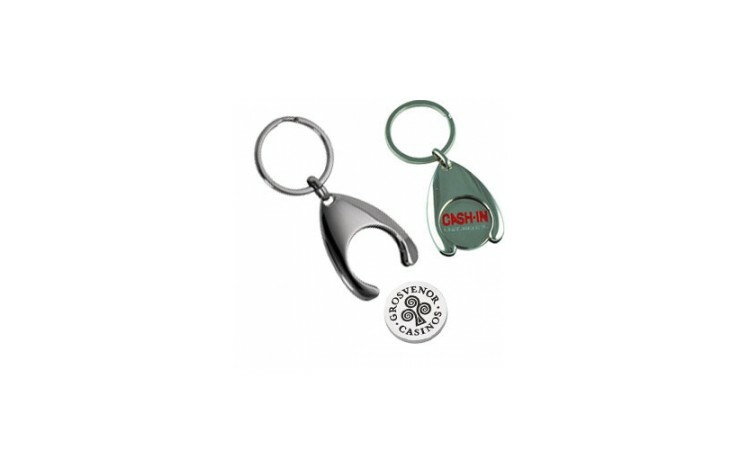 Never struggle getting a trolley on your next shop with our personalised Wishbone Keyring. Available in a shiny nickel finish, the prices as standard are for a £1 coin size (Euro size also available POA). 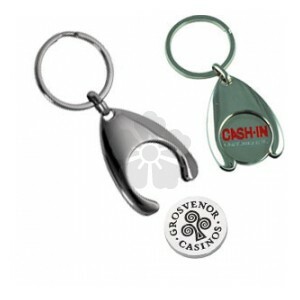 Branded with up to 4 spot colours as standard to 1 side so that you can maximise the branding potential. Branded with up to 4 spot colours as standard. Pound or Euro coin available. Why not personalise both sides for an extra cost?